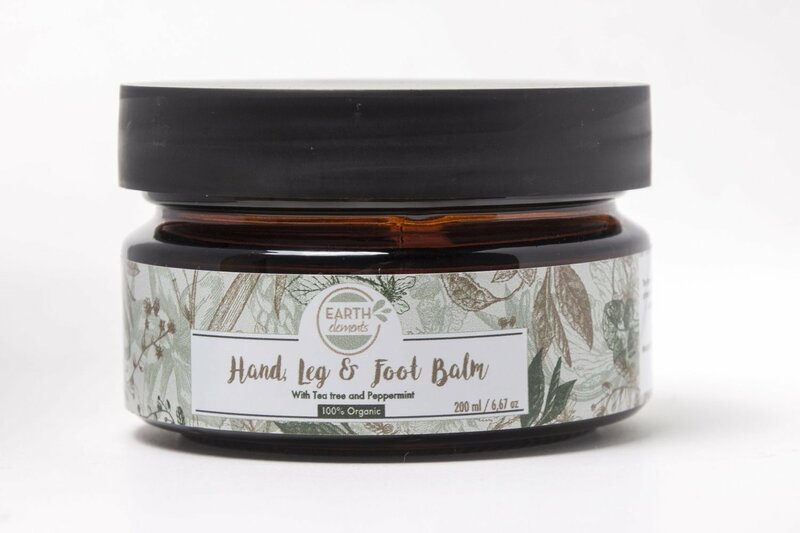 This rich balm is specially formulated with peppermint and tea tree oils to soothe and condition. The invigorating blend of peppermint stimulates the blood flow and eases most aches and muscle or joint discomfort. Tea tree and Lemongrass naturally disinfect; and the coconut oil blend calms inflammation. This ���boost in a jar�۝ is a natural antiseptic, antifungal and antioxidant. Massage into the hands focusing on the areas around the knuckles, massage into feet and work all the way up to the knees. Avoid rubbing or touching your eyes. Peppermint is a refreshing, reviving, fragrant oil or extract is derived from the peppermint plant. Peppermint herb is valued for its cooling, pain relieving and antiseptic effect in foot and leg treatments. Soothes muscle and joint aches, eases arthritis, athletes�۪ foot, chilblains and varicose veins due to the properties that stimulate circulation.